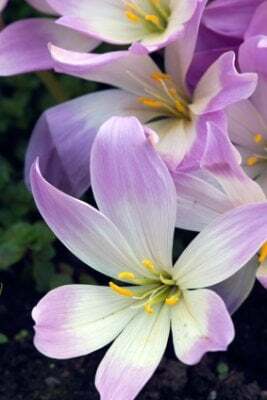 The Autumn Crocus (Crocus) definitely resembles its close relative: the spring Crocus. They have many similarities. They are a low growing flower that looks best when used as a border for other autumn flowers. They usually only grow to be about 4 inches high, just like the spring cultivars. Another similarity between the two Crocuses is their shape. As they come up from the ground, the petals start to open little by little. Once they are fully open they look like they’re yawning! What I mean is that the petals open, but not too wide, and they arch back slightly and look like someone who is yawning. The leaves are like bright green shears of grass. The leaves are actually the first telltale sign that Crocuses are coming. The really great thing about this flower is the colors they grow in. 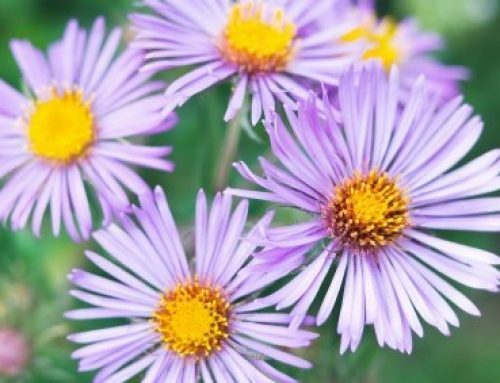 While many people think of browns, beiges, and earth tones as fall colors, this flower grows in wonderful purple and lilac colors. As a border for plants of neutral colors, the bright purples really make a fall garden pop. To make sure your flowers grow in the fall, you will want to plant them either towards the end of July or in August. Space them apart about 3-6 inches because they do spread out like their spring counterparts. As long as you plant them in a spot with full sun and well-drained soil you should have no problems growing this plant. It is a very low maintenance plant. So just sit back and enjoy the bright pop of color in your autumn gardens.